This is not a home computer. It is also not a car/bike crossover vehicle with none of the benefits of a car or bike. During the 1980s Sinclair kept us in a frenzy of 8 bit gaming and put us on the open roads of Britain in dodgy electric vehicles, but there was more to them than that. 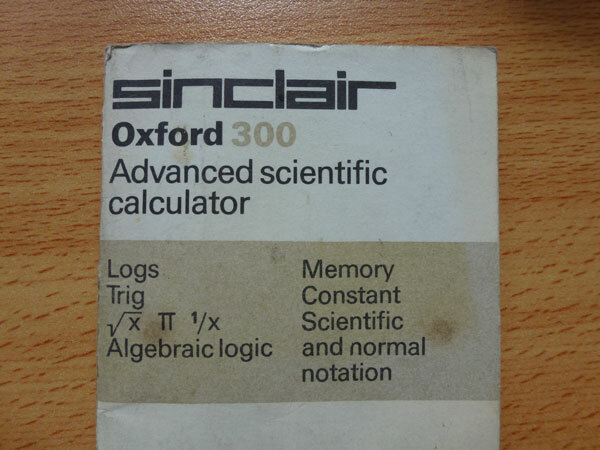 In 1975 they produced the Sinclair Oxford 300 calculator that offered to take the brain strain out of your long division and polynomials. 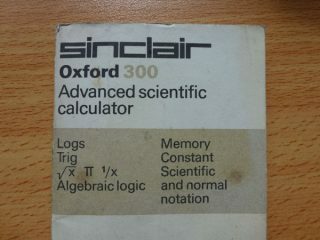 Back in the day it was yours for just £29.95 (plus VAT) demonstrating Sinclair’s blueprint for mass-market budget consumer electronics that gave them such great success in the home computer market in the 80s. 40 year old stains, substance unknown. We’ve got our hands on a type 2 with it’s satisfyingly retro ice blue vacuum fluorescent display and it still runs a treat on a 9V battery (which we nicked from our smoke alarm in the kitchen). If your calculator remains unused for a long period it is possible for a thin film of oxide to form underneath the keyboard plate and cause incorrect number entry. You can clear this film simply by pressing each key firmly once. 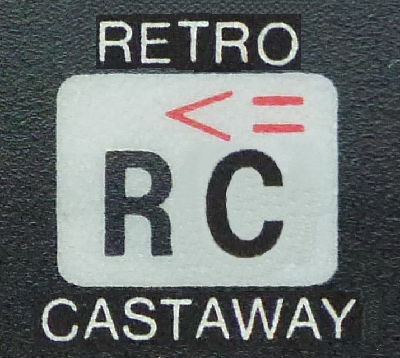 Rear sporting a mini jack style power supply socket. The 9V PP3 battery supplied gives weeks of normal use. 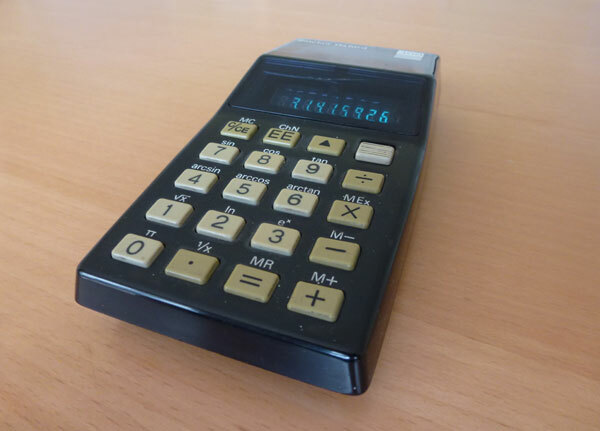 Switching off the calculator between calculations greatly extends battery life. 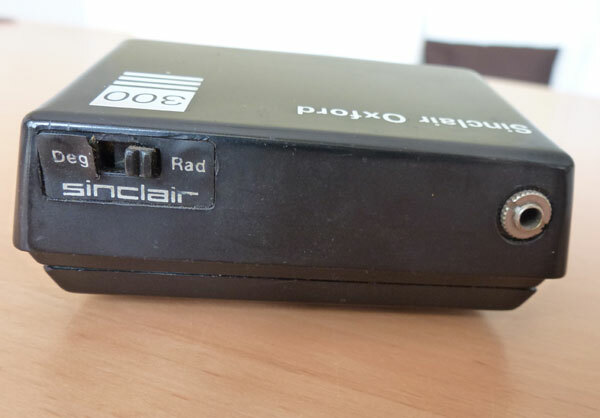 You could also buy the optional extra power supply from Sinclair Radionics Ltd to save you from constant trips to Tandy to stock up on 9V batteries. Battery consumption and films of oxide aside this little beauty handled every calculation we threw at it in (literally) the blink of a vacuum fluorescent display. And upside down number words look ace. If you want any more pictures or maybe want us to do a sum for you, let us know.